Exams, Consultation, Posture Analysis.NO Adjustment at first visit.Acute low back pain and etc are excluded as long as taking X-rays afterward. Brief Exams and Adjustment Prior to 2nd visit, we ask you to take X-rays at Ebisu Clinic. Thank you for visiting our website. Welcome to Dr.Yoshida CHIROPRACTIC. Our practice, located in Ebisu, Shibuya ward Tokyo, serves people suffering from headaches, dizziness, neck pain, back pain, sciatica and other spinal related issues. Our goals in care are not only minimizing symptoms and restore bodily function, but also educate people about the benefits of chiropractic care. During your first visit to Dr.Yoshida CHIROPRACTIC, Dr.Yoshida will go into detail explaining the science behind how chiropractic care can benefit your health, and will give the patient a full evaluation to determine if chiropractic care would be beneficial. First visit includes consultation, exams, posture analysis. It takes 40-50 minutes. After your first visit, we ask you to take X-rays at Ebisu Clinic, 3 minutes walk from our practice. At your second visit, Dr.Yoshida adjusts your spine after brief exam if necessary . Dr.Yoshida provides report of finding and care plan. It takes 20 minutes. After second visit, each visit takes about 5 minutes. Dr.Yoshida was raised in Osaka, Japan and graduated from Doshisha University in Kyoto. He had suffered severe disc herniation on his lower back when he was 14 years old. The pain started rapidly, he was not able to sit and stand for long time. He tried pain killers, massage, ultrasound, electric stimulation and nerve block injections. He encountered a Chiropractor in Japan and received a few adjustments, then several months later Dr.Yoshida was pain free. He decided to become a chiropractor and help people the way the chiropractor did. Dr. Yoshida is a Palmer College of Chiropractic graduate, experienced taking care of people in the United States, Fiji, the Netherlands and Japan. Dr.Yoshoida was the first registered Japanese Chiropractor in the Netherlands. He served the community in Amsterdam at the busiest chiropractic clinic in the Netherlands. Dr.Yoshida brings more to the table than traditional Chiropractic. He also completed extra studies in Extremity Care from Council on Extremity Adjusting. He is a Certified Chiropractic Extremity Practitioner from Post-Graduate studies. Dr. Yoshida is a specialist not only for spine but TMJ, shoulder, wrist, knee and foot. Dr. Yoshida was active in Middle school, High school, University in Japan and Division 1 level Rugby in the United States. Dr.Yoshida was the first Japanese Rugby player to won a scholarship at Plamer College Rugby Club since 1960. Dr.Yoshida is passionate about chiropractic and helping the most chronic and acute cases. His love of chiropractic and genuine concern for others drives his pursuit of excellence in his work, as well as his service to the community. In his free time, Dr.Yoshida enjoys playing Rugby, reading, traveling and plane spotting. 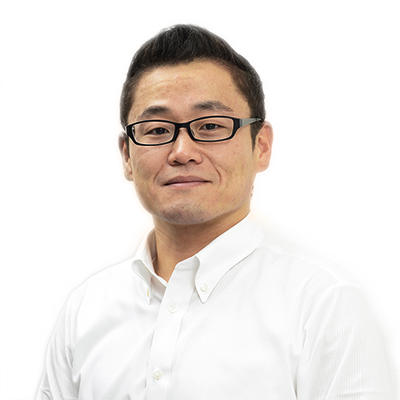 Dr.Yoshida is taking care of kids, expecting mothers, elderly people, athletes and people doing lots of desk work. Dr.Yoshida CHIROPRACTIC has family plan and corporate plan. If you are new to our practice, or are interested in wellness care, please feel free to contact us. 2 minutes walk from JR Ebisu station and Metro Hibiya Line Ebisu station. © 肩こり・腰痛 - 産後ケア・キレイな姿勢をたもつなら | Dr.ヨシダカイロプラクティック【東京・恵比寿】. all rights reserved.